Hotel Mogul is a new amusing game for iPhone and iPod touch developed by Alawar Entertainment specializing in development, publication and distribution of casual games since 1999. 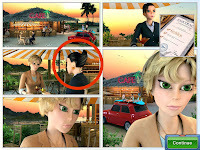 In the tutorial of the game you will learn out the main plot which consists of the activities of a young business woman Lynette who has lost all her built company and accumulated property after the divorce with her husband. The main aim she faces with a little sum of money in her pocket and a little pot of land in her property is to return back her former possessions. For this purpose she must buy back a vast global empire of hotels, restaurants and amusement parks. The game contains over 35 different levels in five global regions; it also has four mini “find-it” games to continue the story; More than 15 building types with upgradeable features and 12 special awards to work towards throughout the game. Hotel Mogul is an Arcade style game with quite colorful and bright design. The graphics are vibrating and the sounds are great. If you decided to test the game before purchasing it you can download the light version which is also available. The light version includes ten of the games levels in two of the global regions, and a limited number of building types. The cost of the game is $1.99 and you can download it right here.